Do you like conservative news? Are you fed up with news apps that push a liberal agenda? Rightside is the app for you. 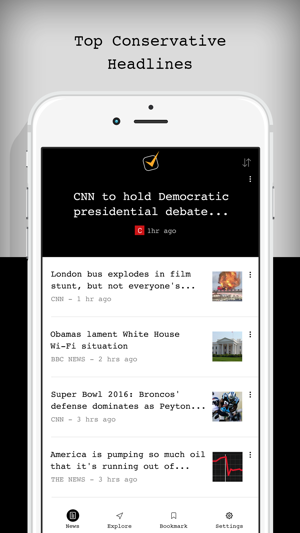 Rightside finds the most popular right-leaning stories from across the web and delivers it to you in a beautiful and simple app. Download it now! And start discovering articles that you care about. -With Rightside, you will find news on Donald Trump, Ted Cruz, the Republican Primaries, Domestic and Foreign Policy, Obama and Clinton Scandals, and more. -Rightside also serves a Reader for Conservative Publishers. 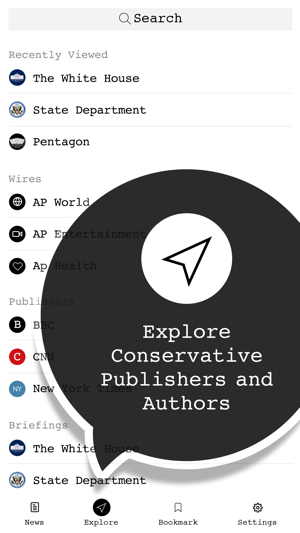 Whatever your favorite conservative publisher may be, you will be able to quickly find articles from them in an easy to read format and seamlessly navigate from publisher to publisher. -If you want to receive relevant push alerts on breaking news, top conservative stories, and election results and updates, be sure to turn on push notifications. You also have further control over push notifications in the settings tab. 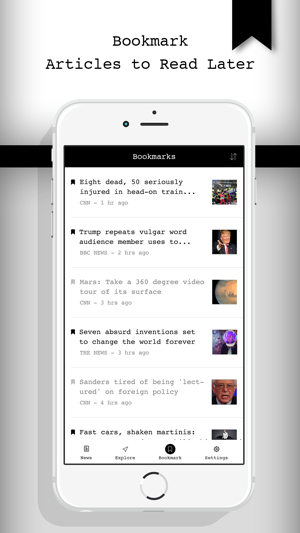 -Press and hold any article headline to explore that story in more depth. -Check the Explore Section often to find out what topics are trending and to discover other topics that might interest you. -When you click on an article title, Rightside will automatically show you related content so you can explore stories in depth, get up to date on any story, and stay informed. 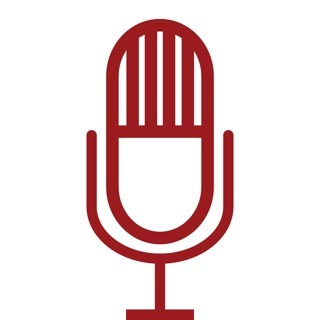 -Perspectives: You can drill down further on any topic, such as Hillary Clinton Email Scandal by perusing that topic's profile page, even exploring separately articles from the conservative perspective and articles from the liberal perspective. -If you would prefer an image view to the list view, you can change it in the Settings Tab. The Settings Tab also allows you to change the font of the app to meet your preferences. -The News Feed defaults to displaying articles in an order of what is popular. If you would like to change the feed so that it displays content in Real Time, you can change the feed in the Settings Tab. -If you like Rightside, check out some of our other apps that are tailored toward specific verticals, interests, and industries, such as Techno - Technology News; Banko - Banking, Market, and M&A News; Wermz - Personalized News, and more. 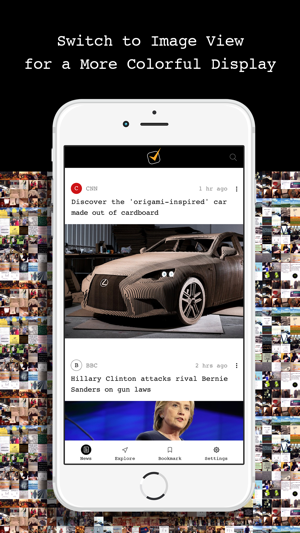 Extraordinary encyclopedia of news at fingertips! Right side provides comprehensive information by authoritative experts on everything you ever wanted to know about politics. It's refreshing to read grounded reasonable non politically correct articles that forces readers to reconsider many false beliefs. A must read!! Regardless of your political views, this is one of the best news aggregators I've used from the Apple Store. It's easy to change between different websites on the app, and you can customize your feed to some pretty specific policy areas.